Arguably one of the essential parts of the bathroom is the mirror. 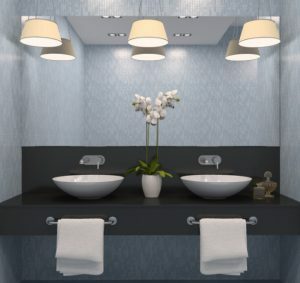 Although it is used often for checking your appearance, shaving or applying makeup, fixing brows and checking your teeth, it surprisingly offers more benefits to your bathroom more than you already imagine. 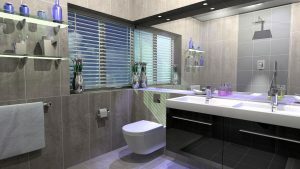 To help you see the reality of what a bathroom mirror can provide you with, check out the numerous of benefits bathroom mirrors Adelaide offer as provided in this post. It is true that in most homes, the bathroom is usually small. However, adding a mirror over the sink can help to add depth to the limited space. Installing large mirrors can make a room appear almost double its original size. You probably are thinking about adding some artwork to your bathroom, but you are not interested in investing money in it. Well, if you place a mirror on the opposite wall of a window, assuming you have one in the bathroom, it can creatively make an illusion of artwork. Aside from that, mirrors can balance the space by creating an asymmetry that will serve as its masterpiece. It is possible especially if you shop for bathroom mirrors Adelaide with a decorative or stylish frame. Mirrors are also an excellent provider of additional light on dark spaces, which means it is beneficial on bathrooms that has no windows. The mirrors reflect the light that is in the area, bouncing it all around the room making the room brighter than it usually is. If you want to achieve this, it is best to situate your mirrors on the opposite walls of the light. If you own a smaller bathroom that lacks storage space, a mirrored wall cabinet is an excellent solution for you. Through mirrored cabinets, you can acquire the ability to hide storage space behind the mirror. It is usually used to store sanitary products of different shapes and sizes. Mirrors are beneficial in enhancing the style, design and appeal of your space including your bathroom. Mirrors feature a variety of methods including contemporary, antique, modern, traditional, vintage and modern. You can conveniently find a mirror that will afford the style needs of your bathroom, improving the space and bringing the entire design together to create something beautiful and refreshing. Having bathroom mirrors Adelaide also corresponds to hygienic benefits. For example, having a mirror on your bathroom means you can check your teeth for stuck spinach before walking out the door. Likewise, it offers you the ability to get a close shave, groomed hair and a shiny smile due to brushing and flossing. Plus, for the ladies, it helps you get ready when you are fixing your hair, applying your makeup and tweezing your eyebrows.